These are the best of the best. All platinum kits contain regionally sourced grape juices, meaning you get the authentic flavours and aromas from grapes grown in the soils & climates that have made these varietals famous. Exceptional wines from prized vineyards around the world. Maximum cellaring potential. Aging time 6 – 12 months. 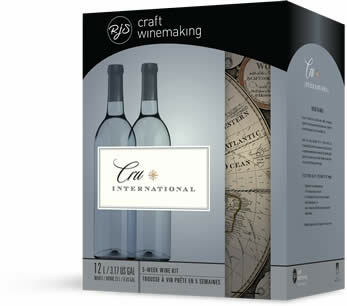 Here you will find a host of varietals and blends that will knock your socks off! These kits have impressive body, flavours and aromas. Many of our top-selling kits are found in this range, including Restricted Quantities – yearly limited edition kits from the CRU Select line, released every winter to great fanfare. Value priced wines that are quick to ferment and age. 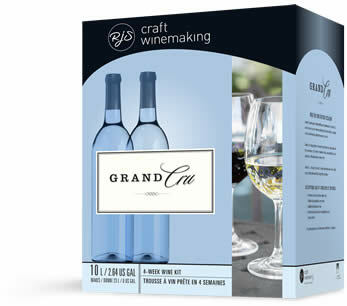 Easy-drinking wines created with select grape juices and concentrates. Ready to enjoy with any meal, or on their own. 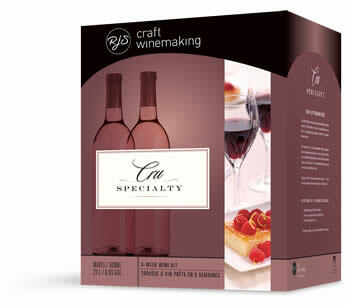 Cru Select Specialty wine kits produce top-of-the-line dessert wines. Due to their high quality make-up, we do not dilute the contents of the kit with water – you just pitch the yeast and 6 weeks later you will have 11.5 litres of lucious, refined dessert wine. Call, email or drop in today to start your batch!